I'm actually supposed to take an entry level C++ class, and then I plan on taking two courses in Java. I didn't like Java at all. Hopefully it's more fun, or at the very least informative. Where is this "customize the menu with a click" business? I'm not seeing it. Am I that blind? 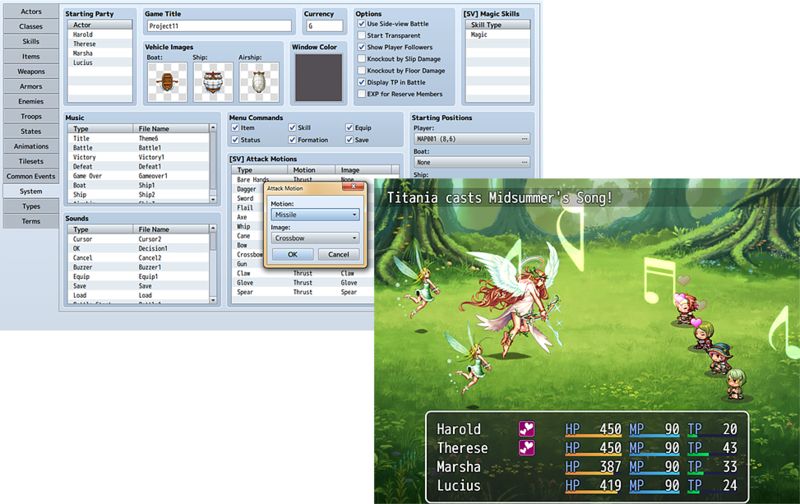 Under "Window Color", it has "Menu Commands"
I'm glad that they're making a new RPG Maker. It looks pretty cool, and the plugin manager is a great feature. What's the 'Types' for, I wonder? I guess elemental types are going to be a bit more complicated. Toolbar speculation. I get what most of the buttons are, but there's a few I don't know about. New, Open, Save; Cut, Copy, Paste; Undo; Edit Terrain, Edit Events; Pencil, Rectangle, Ellipse, (Fill? ), Shadow; Zoom in, Zoom out, Something zoom related; Database, Scripts?, Sound Test, (Resources? ); Playtest. No regions or character creator? EDIT: The R next to TileC might be Regions. Still don't see how to switch layers though. I believe it was stated somewhere that the layers were "automatic". No idea what that's supposed to mean though. Database, Scripts?, Sound Test, (Resources? ); Playtest. I think it's probably Scripting, Resources, Sound Test, Database. R is most likely regions, considering they were opened in the tileset window in ace anyway. 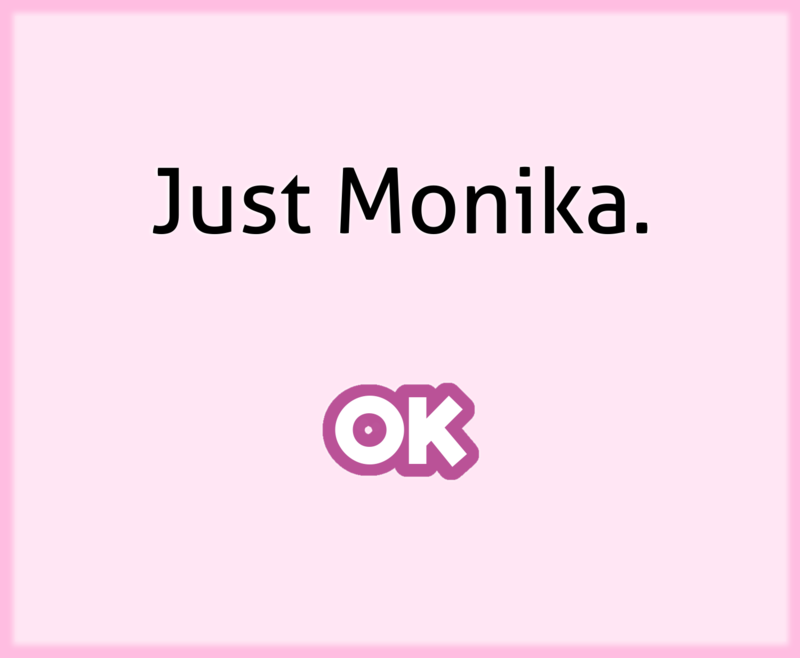 To be honest, I thought the character creator was pretty pointless. So we're not really getting layers back. I'll be nice to be able to place trees over each other without needing to use events, but I was hoping for actual layers. It's always annoying to want to remove a building or some trees, and have to redo everything because you can't removed only the building or trees. I would assume this means you won't have to download the run-time package independently, as we've had to in the past, and it will just install itself along with the program. I'm sure the RTP will still be available on its own though, so people without the engine can still play games that require the RTP resources (read: all of them). Don't worry Modern, I won't tease you too much as you make a mess of things again. I want more news man. Like, man, news, man, dang. Haha, but I need you to tease me. How else am I supposed to learn? So much more straightforward than digging through scripts for parameters. Wasn't there something about people checking out demos? What are those people up to eh. they said the new layer system is "automatic 3 layers". Not quite sure what does "automatic" mean though. Sounds like some variation of the Stockholm Syndrome, though I do actually try to get you addicted with some actual benefits hiding here and there. Goddamn I am so happy about MV, it's just taking too long to come. I want it now damnit! Page created in 2.379 seconds with 26 queries.